Australia’s longest recreational pier juts into Bramble Bay, swarming with an excited crowd. From the wooden hammerhead of Shorncliffe pier, the MYCQ’s Rear Commodore Alasdair Noble broadcasts a live commentary of Australia’s biggest multihull race, the iconic Brisbane to Gladstone. A canon barks the warning signal, sending a puff of smoke over the the enthralled faces. They can hear winches begin to whizz aboard the boats as they jockey for the best starting positions, pulses beating fast in anticipation. “Light, sturdy, fast, offshore, self-sufficient, hybrid” was the brief for the uncompromising owner of the latest model Schionning G-Force 2000 Speciale. What resulted is a performance cat that is truly pioneering. Australian sailors have always embraced new design innovations, especially when they lead to better performance, and more liveable accommodation spaces. 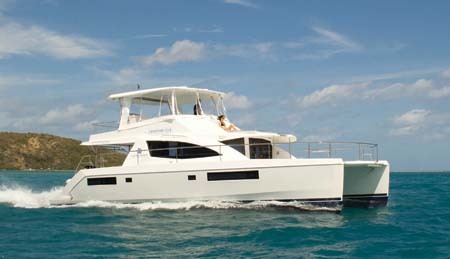 The award-winning line of Leopard Catamarans achieves a totally new level of performance, comfort and style. 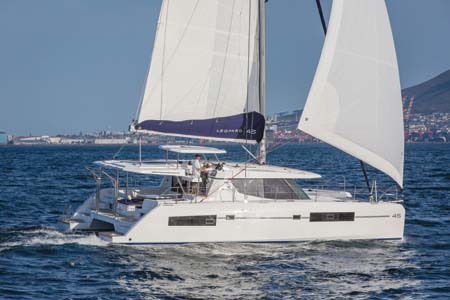 Built in South Africa by well respected boat builders Robertson & Caine and designed by Naval Architects Simonis-Voogd, Leopard have set a new standard for contemporary cruising catamarans. 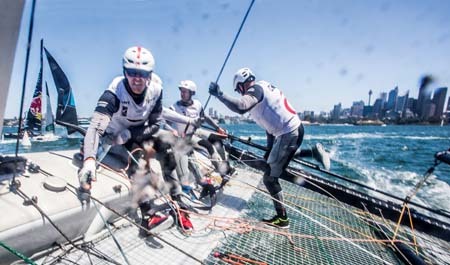 The first visit of the GC 32 Extreme Series cats to Australia in December was a wild adrenalin ride, writes KEVIN GREEN. The boats are home, the crews are still at the physio, and the organisers are hopefully catching up on sleep after the running of another awesome APC Logistics Australian Multihull Championship at Wangi ASC. This event has been running every two years for as long as I can remember, and it is not hard to see why we all keep coming back. Flat water, fresh to strong breezes, grassy beaches to drag the boats up on, and a truly eclectic village atmosphere for crews and spectators to enjoy a beer on the grass or a seafood bouillabaisse in a local eatery make for a perfect formula.